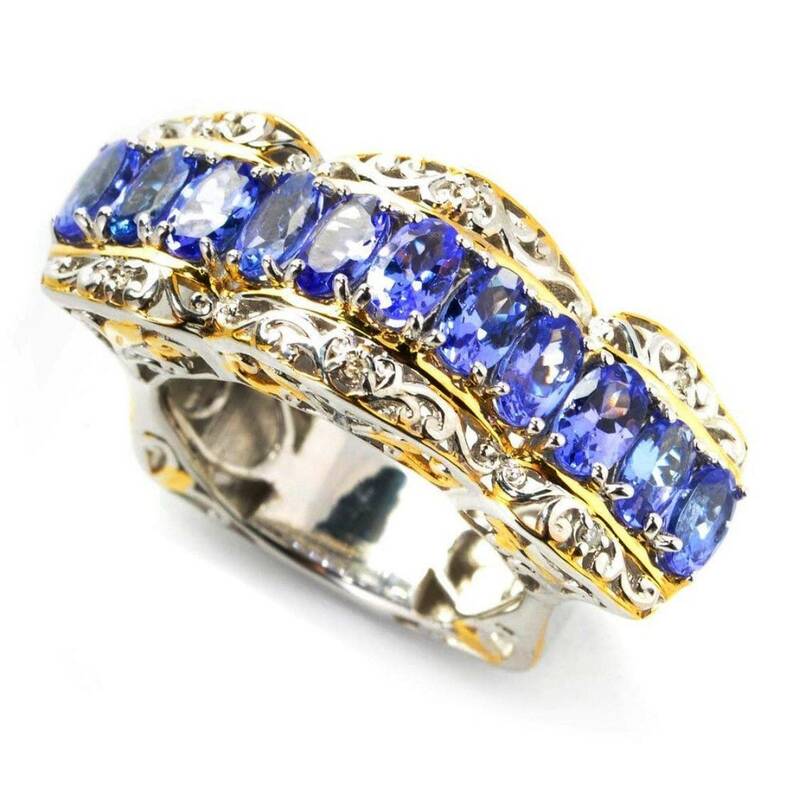 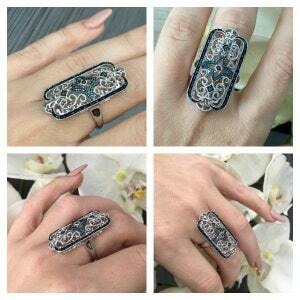 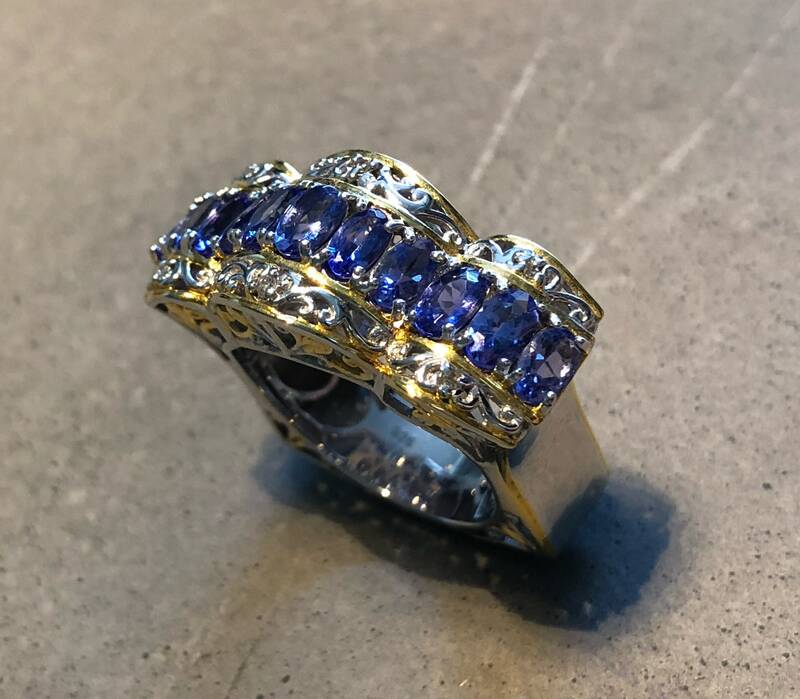 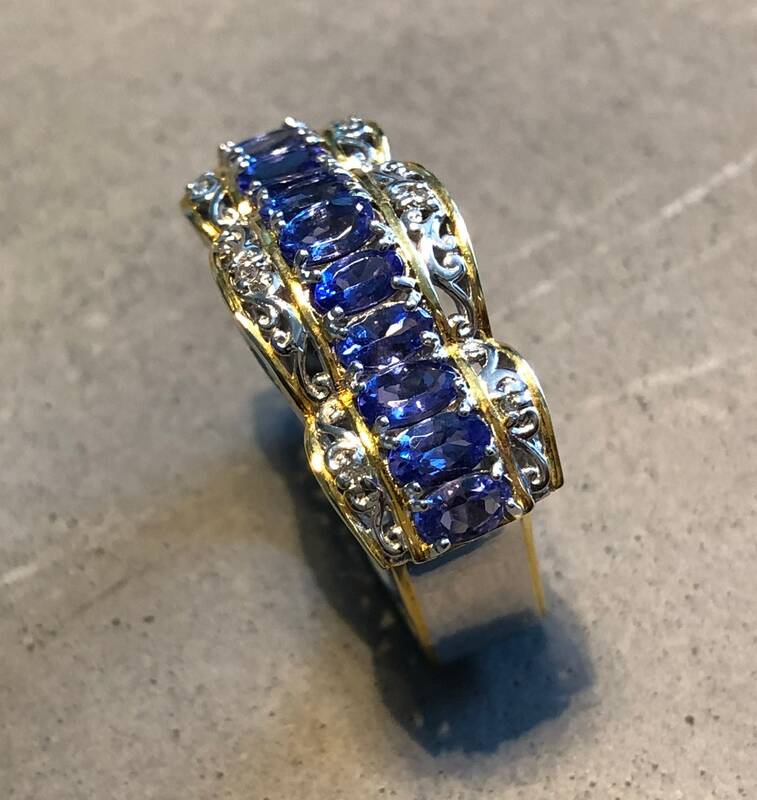 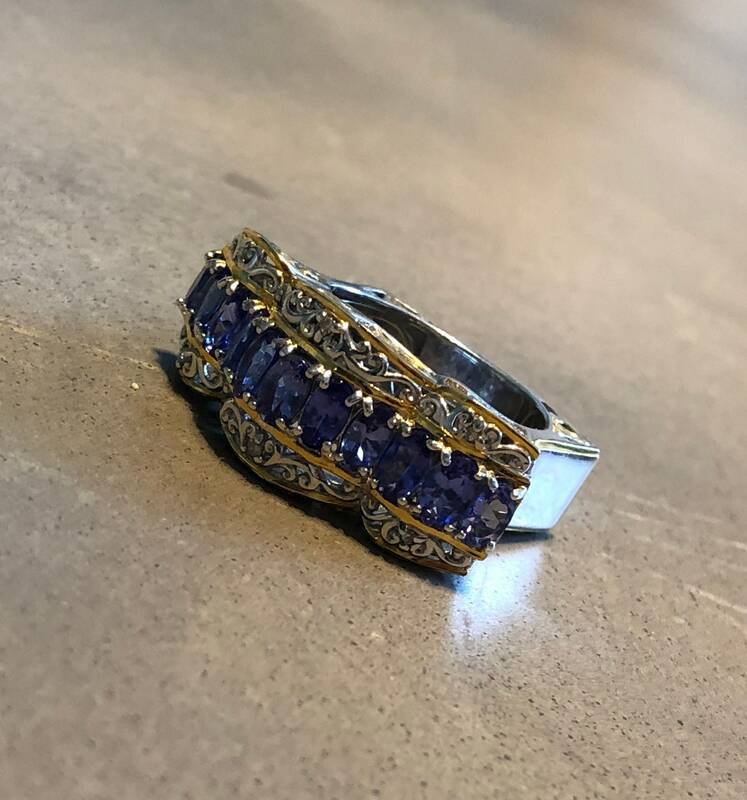 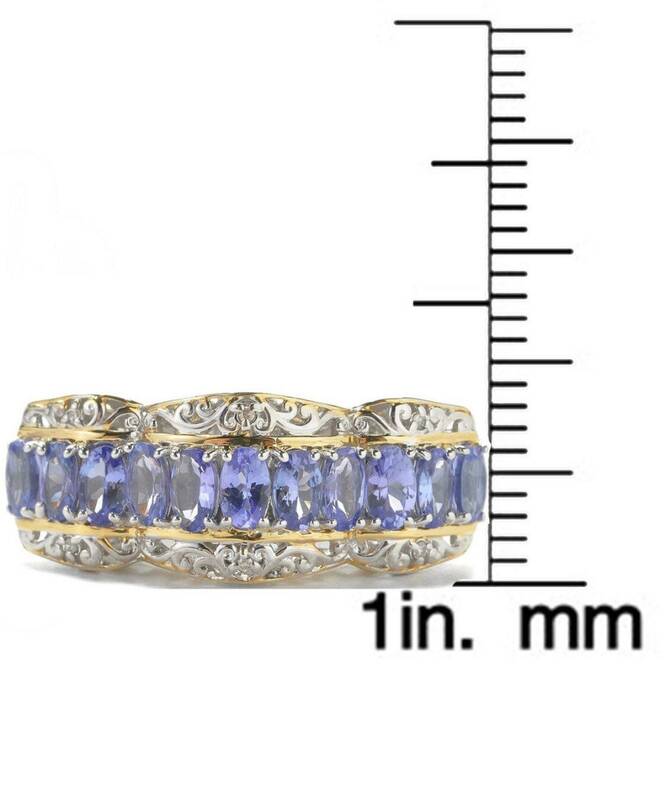 2.12ctw Oval Tanzanite Euro Shank Ring. 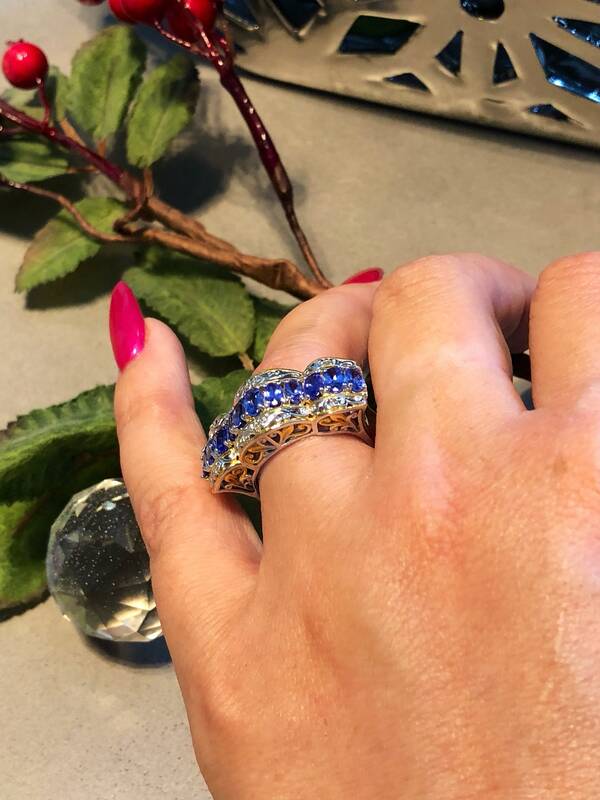 Luxury at your fingertips! 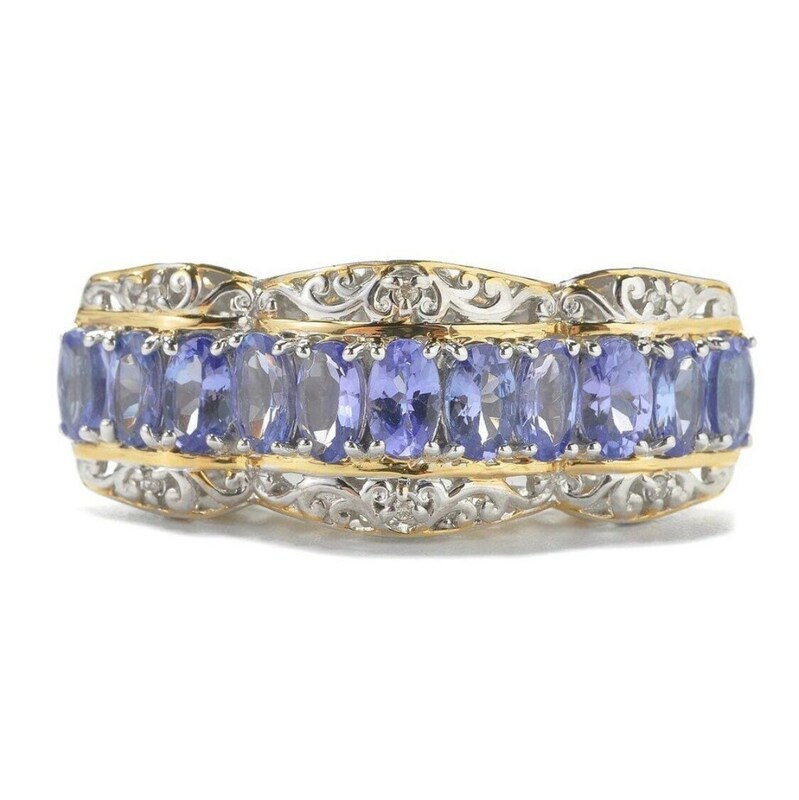 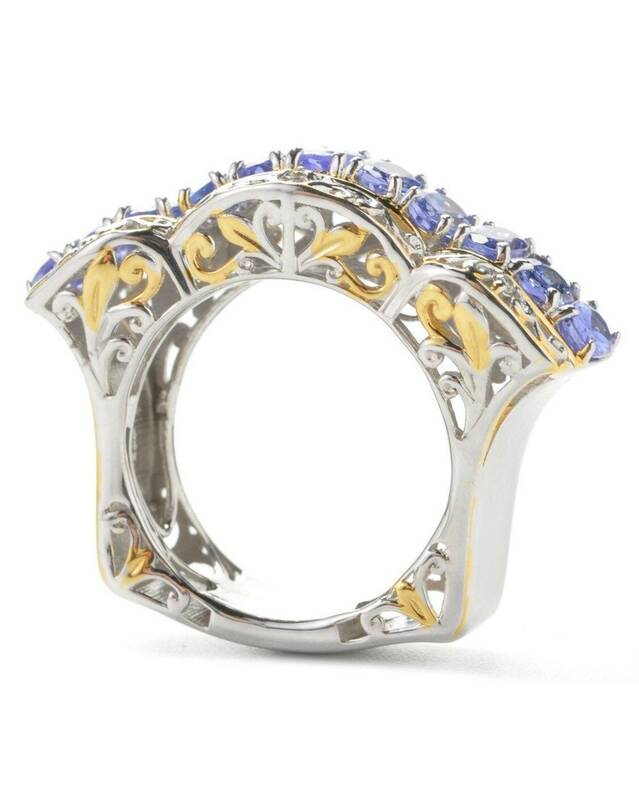 This gorgeous ring features three curved tiers with a row of oval tanzanites in claw settings. 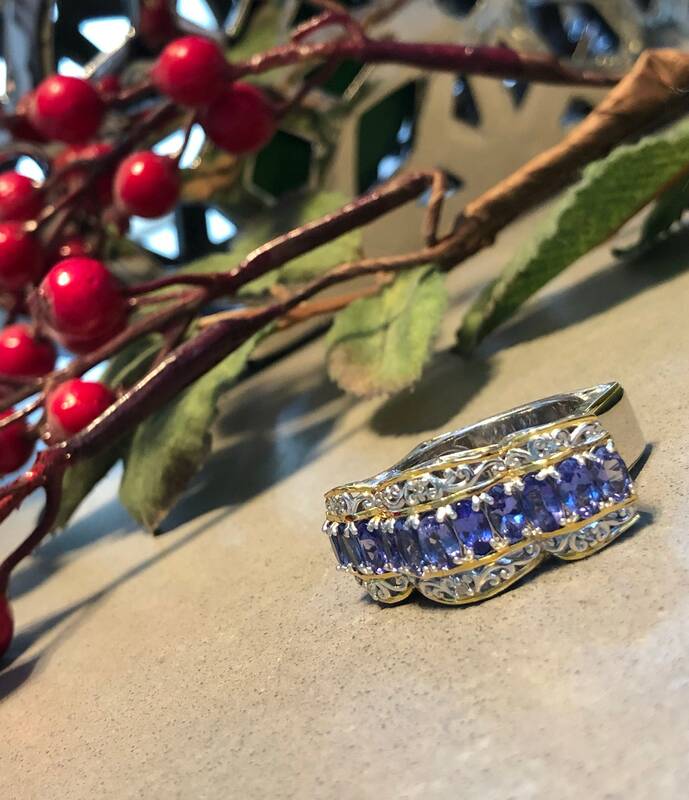 On each of the tiers, to the north and south of the row of tanzanites, is a tiny diamond in a bead setting. 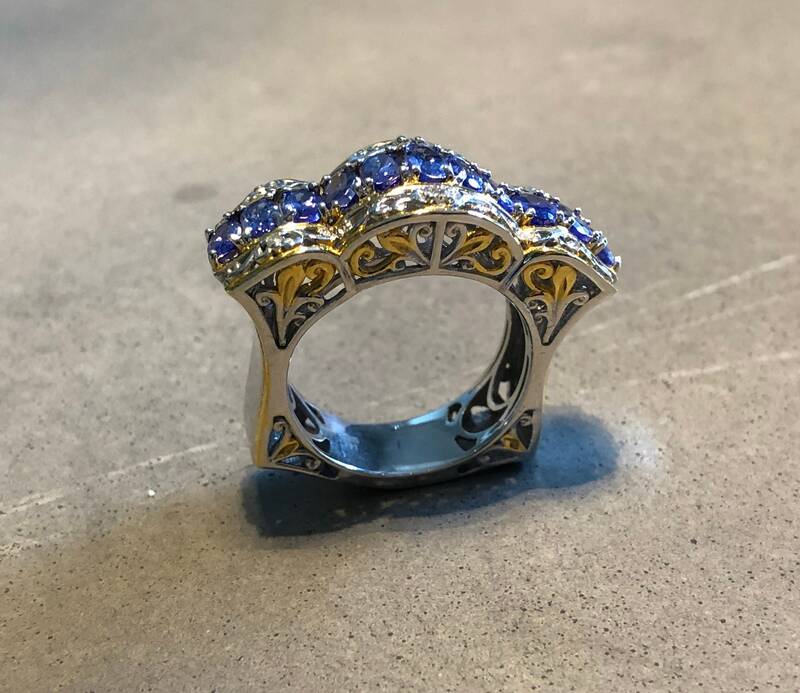 The top and side galleries feature scrollwork detailing as well as an undergallery with a fetching Euro shank finishing up this striking piece. 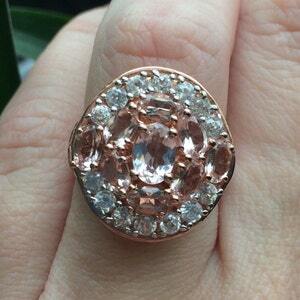 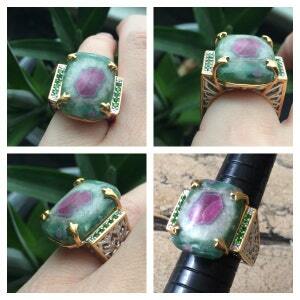 18K rose vermeil over sterling silver,3.91ctw Morganite & White Zircon Ring. 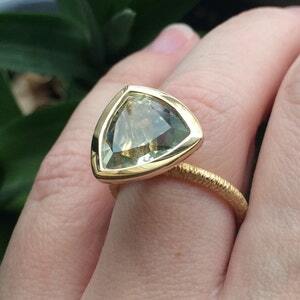 18K Yellow vermeil 925 sterling silver 10mm 4ct Green Amethyst trillion brilliant cut solitaire ring.